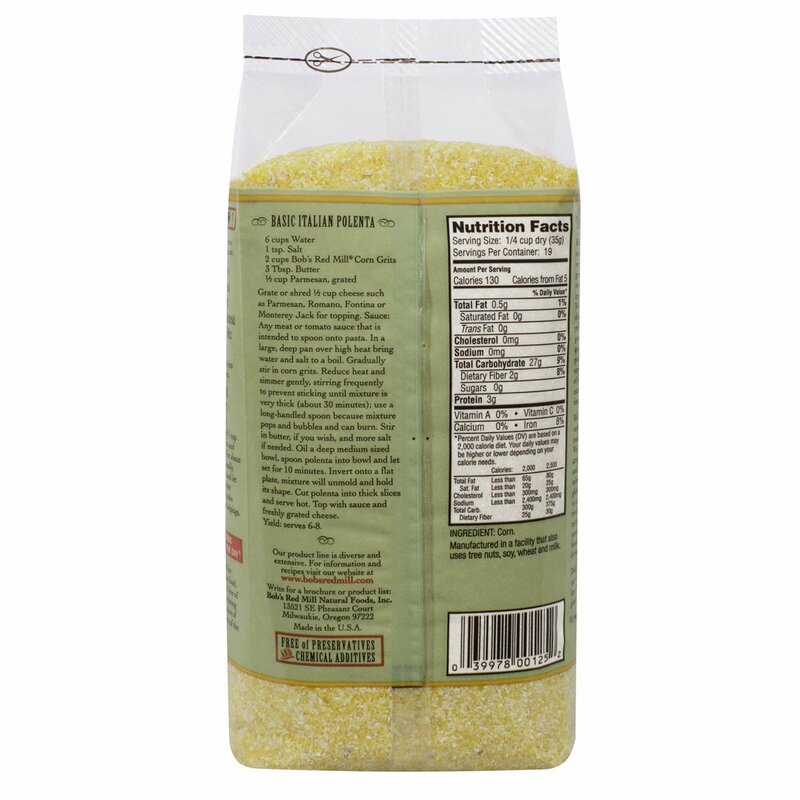 Corn grits are simply coarsely ground bits of corn. They have long been a traditional staple of both northern Italy and the American South that are usually cooked and eaten as hot porridge or cooked, then slightly cooked until firm and sliced into squares. For breakfast, try Corn Grits served with milk and honey. For lunch or dinner, they're excellent topped with butter, cheese, marinara or gravy. We use only the finest golden corn for rich and flavorful grits that are sure to delight your palate—any meal of the day. We stone grind the widest possible variety of grains into flours and meals on our century-old mills. We mix them into an astounding array of delicious flours, cereals and pancake, muffin and bread mixes. We also have a line of gluten-free products that are made in a dedicated facility and exhaustively tested for purity. We add to the list continually, making our product line of healthy grain-based foods the most complete in the world. Delight you and yours today with our stone ground goodness and know that you're eating the finest grain products available anywhere. If you're in the mood for traditional, simple Italian food, polenta is a good choice. One of the many Italian dishes dating back to antiquity, a version of polenta nourished soldiers of the Roman Army. Bring 3 cups water and 1/4 teaspoon salt to a boil. 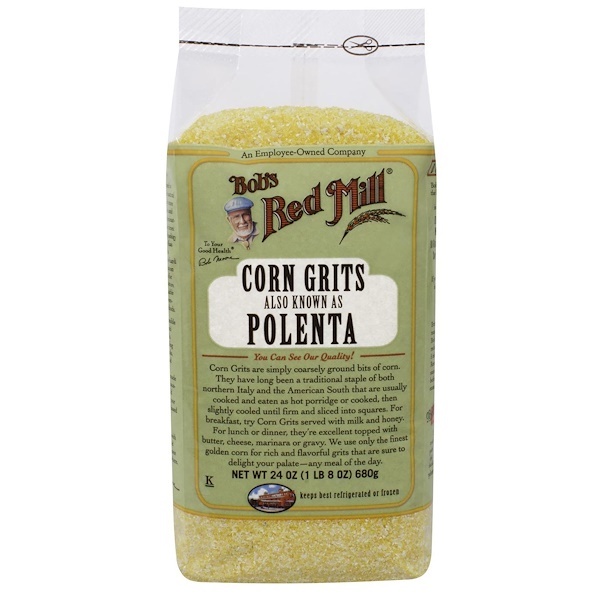 Add 1 cup Bob's Red Mill Corn Grits and reduce heat. Cook slowly for about 5 minutes, stirring occasionally. Remove from heat cover and let stand for a couple of minutes before serving. This will make enough for four generous helpings.